It’s the battle of the phones coming in from one side is the S.Korean Company Samsung, from the other side is the Cupertino company Apple. For both companies the S9 and iPhone X are their flagship phones and also the most expensive than whatever they’ve previously offered. While Apple moved from 8 to X directly, Samsung did not skip the 9 bump up from S8. While marketing any product for any company is a huge deal as it defines their place in the market, it is no different for Samsung or Apple in this regard. Both are keen on showing off their flagship phones and maintaining or maybe even increasing their market share. What is similar between these two phones is that they both have 2 cameras, both these flagship phones have a telephoto camera while the Samsung S9 has a wide angle camera as well. Another common feature on both phones is that both these cameras are at a resolution of 12 megapixels. Now here comes the difference: with the Samsung S9, the phone actually takes 12 pics simultaneously and then selects one with the level of detail you require, less noise and as little grain as possible. The iPhone X on the other hand takes 3 pics and does the same instead of 12 pics. While the S9 has a screen size of 5.8 inches and the S Plus has a screen size of 6.2 inches, the iPhone X has a 5.8 inch screen much like the S9. iPhone X has got a notch on the top part of the display but Samsung took a different route by making an uninterrupted rectangular screen. For a person who buys a phone based on screen size they will have to decide carefully between a screen with a notch but smaller bezels or a screen without a notch and larger bezels. The Samsung S9 will come out in two models one with a Snapdragon 845 chip that will be available in the US and the other model will have Samsung’s own Exynos processor that will be available in Europe. The snapdragon 845 looks good on paper with a 2.8 GHz of processing power and 8 processing cores. 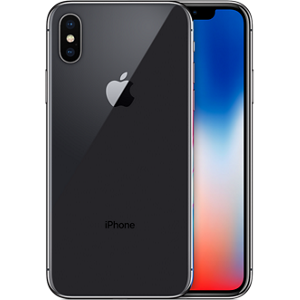 The iPhone X uses an A11 Bionic chip that has a 2.4 GHz processing power and 6 core processing units. While this may look not-as-good-as the Samsung S9, Apple has a way of making the processors work well with their software and their iOS. Apple might not be behind Samsung when it comes to the processing department with the iPhone X. While Samsung Provides an option of additional storage with the S9 having a built-in storage of 64 GB and an additional capacity of up to 400GB. Apple’s iPhone X has no option of additional capacity and the maximum they offer you is 256 GB. The S9 uses both finger scanning and iris reading as methods of security while iPhone X has gone the facial recognition route.